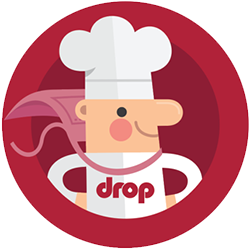 Drop — How do I register an account in the app and what is it good for? It&apos;s easy, and completely free, to register a Drop account and we highly recommend that you do so to get the most out of the app. Also, if you ever run into any problems, it will be a lot easier for the Drop support team to diagnose what&apos;s wrong if you have a Drop account. You should now have received a confirmation email in your inbox. Tap the Activate Account button.